A bizarre but effective way used by a Dehli girl to get rid of her molesters is trending all over the social media. Find out more in the post below. 1. Facebook is abuzz with the story of a 17 year old girl from New Dehli who came up with a unique trick to protect herself from being molested. The girl’s friend shared the story on Facebook in her recent post. 2. She has disclosed that her friend was roaming around the city’s Punjabi Bagh around 10 pm when she saw few men following her . By this time she was aware that something is not right and she tried to get rid of them but was unsuccessful in doing so. 3. 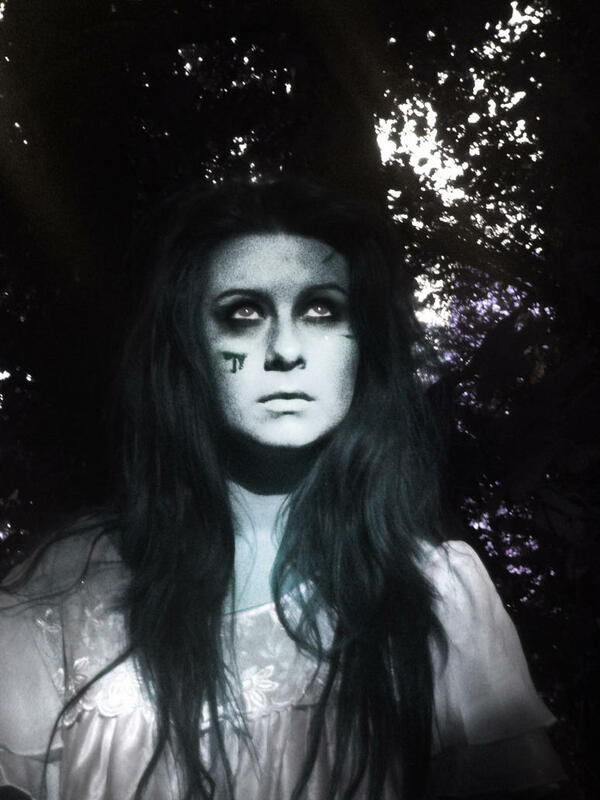 She was taken to a secluded area by the men but the girl acted to her wits and tricked the men into thinking she was a ghost by speaking in a weird spooky voice and acting as if she was possessed by a spirit. One moment she would laugh hard , the other moment she would stare blankly at the men’s faces. Good use of presence of mind. 4. Seeing this two men got terribly scared and ran away , while the other one stood there unperturbed. 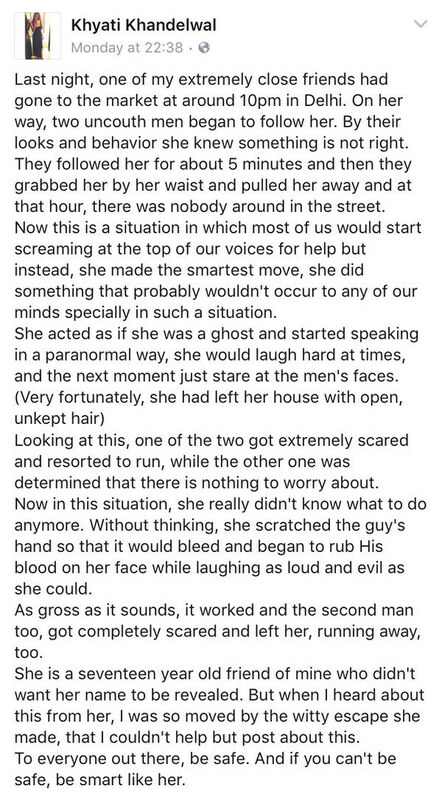 In order to scare him , she scratched the guy’s hand until it was bleeding and smeared his blood on her face. And anyone who is not a psychopath would be scared for his life in such a situation. It may sound surreal but it is still a good idea if one can think fast and is good in acting . The girl wishes to remain anonymous but we have the original post that her friend shared with the world on Facebook. In fact the post received such a widespread attention and response that the girl’s friend had to change her privacy settings. However it was later changed to make the post publicly available once again. The full post describing the full incident.